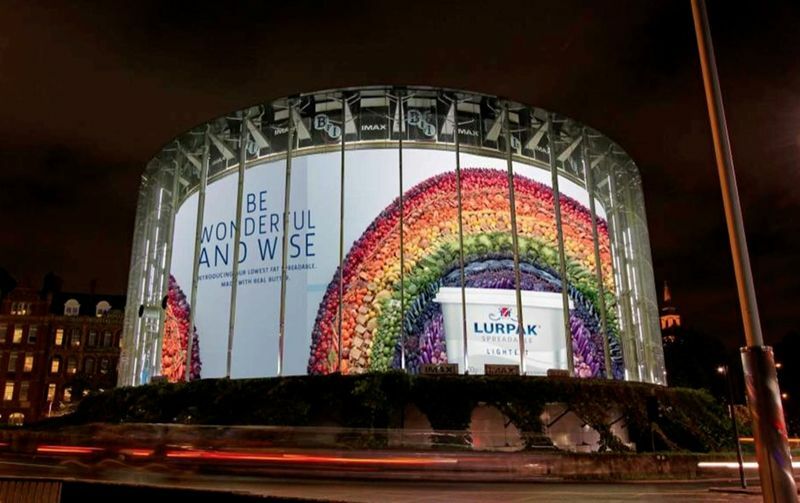 Lurpak Lightest Spreadable butter is presented as the perfect accompaniment to freshly prepared vegetables, fruit and fish in “Wonderful and Wise”, a television commercial narrated and sung by Rutger Hauer. Every week visitors to Lurpak’s website are directed to explore a different (healthy) food, under the title ‘Week of The…. The site, run in HTML5, includes a section, Explore The Rainbow, in which visitors site also has can explore the healthy food rainbow, clicking on different foods to read tips from celebrity chiefs, Lurpak and others on how to cook with them, fun carrot facts in January to inspirational courgette tips in June. The Wonderful and Wise campaign was developed at Wieden+Kennedy, London, by creative directors Dan Norris and Ray Shaugnessy, art director Andy Kelly, agency producer Anna Smith. Filming was shot by director Dougal Wilson via Blink Productions, London, with producer Ben Link. Editor was Joe Guest via Final Cut, London. Post production was done at The Moving Picture Company, London. Sound was produced at Wave Studios, London by sound engineer Aaron Reynolds and composer Michael Russoff. Photography was by Tobin Smith. Nicola Yeoman designed and built the rainbow. Digital work was by Outside Line.